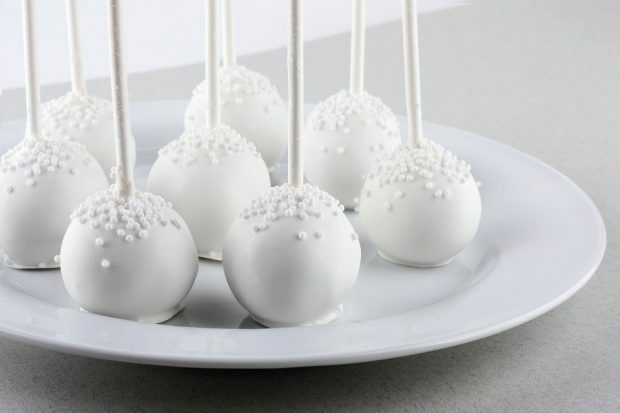 This could well be one of the more fun parts of wedding prep, especially if you have a sweet tooth! A candy table can be a great option for the day – not only do they brighten up the decor, they will be enjoyed by kids and adults alike. Do you have a theme you want to stick to? Do you want to go Retro or is it specifically a 60’s, 70’s or 80’s sweet theme? If you have a theme you may already have a good idea about the kind of sweets you want to have. Sometimes a sweet is where the idea for a theme can originate. 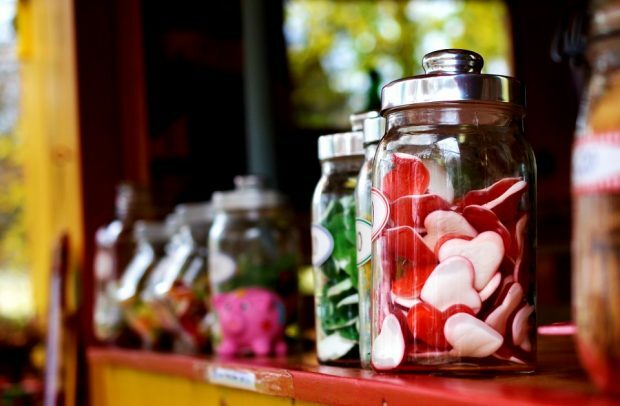 Most on-line sweet companies have sweets arranged in themes, such as “London”, Football” and “Ladies Night” (also good for the hen party). 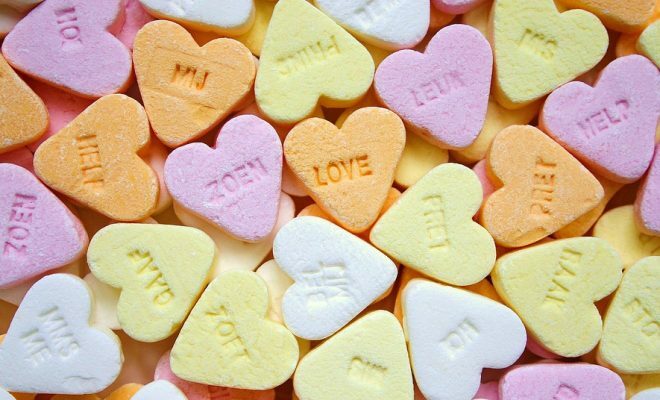 Apart from the choice of 60’s, 70’s and 80’s the Retro theme can also be based on a mixture of sweets from the different decades or really old-fashioned sweets such as butterballs, mint humbugs or dolly mixtures. Colour themes can be easily organised again by using on-line sellers. Some of them will have their sweets listed under colour choices so it is simple to go down through the colour listing and pick out your favourites. A good general guide is to pick out two colours and a metallic, usually gold or silver, to help add contrast and interest to the display and make the candy table look more inviting. Give some thought to the different shapes of the sweets and the containers they are going to be displayed in, as well as the storage conditions. Flumps or Marshmallows need to be in airtight containers so they do not go hard on the outside. 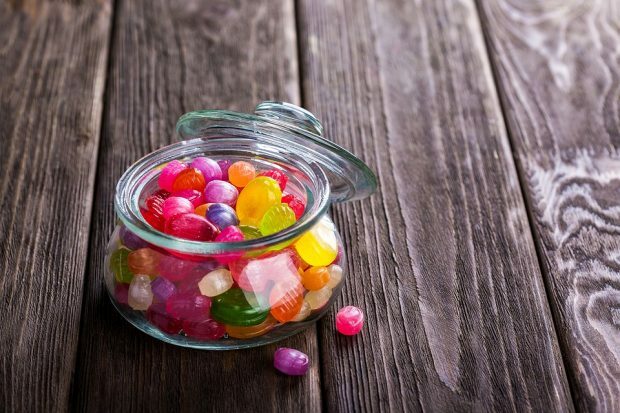 Jelly Beans could become damp and sticky if the lid is not closed properly during storage. Would you like a circular jar for round sweets or a tub shape for marshmallows? Or would you rather mix it up? If the sweets are already individually wrapped they would be suitable for large, open wine glass displays. Soft sweets such as Jelly Babies or Dolly Mixtures could be wrapped in little cellophane bags with pretty ribbons to keep them fresh. Order in plenty of time to ensure you have enough to fill your jars, large glasses etc. Check the stock of what you actually have and need closer to the big day. Keep in mind the stock might gradually dwindle if you order too far ahead and can’t keep your hands off them! To check if your plans are going to work just buy a small packet of each type of sweet in your local shop. If you search the local shops for container ideas and compare the shape, size and colour of the sweets and the containers, you can then juggle the contents about until you are happy with the result. If there are some sweets you are unhappy with – just eat them! It’s a win-win.